Not too many DJs on the West Coast can claim originality in their DJing style. While the average DJ turns tables, DJ BUSY B turns heads. Self-proclaimed Buzz of The Bay, A Bay Area native born in Daly City California, Busy B was first exposed to the world of music by his mother who had always played soul and R & B records. At a young age he witnessed a new culture phenomenon known as Hip-Hop. Impressed by a performance by New York’s DJ Kid Capri sparked DJ BUSY B’s interest to begin spinning at parties at the young age of 14. After more than a decade, DJ BUSY B’s skills on the turntables can be described not only as a breath taking diverse music experience, but an adrenaline rush of energy poured on to every dancefloor he controls. 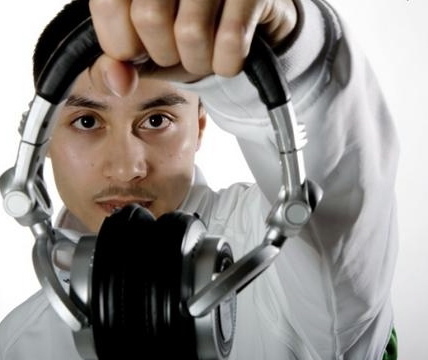 His DJ influences include: The Legendary Grandmaster Flash, Kid Capri, Jazzy Jeff, Funkmaster Flex and DJ AM. Today, DJ BUSY B can be heard playing for many High-Profile clients such as Britney Spears, Hilary Duff, Calvin Klein, Ted Baker, and Vera Wang. He is also a resident DJ at Harry Denton’s Starlight Room, located in the heart of Union Square In San Francisco, CA.